The Brave Chick is Unleashed and USTYLEU is bigger and better than ever! We have transformed into a more mature, edgier top fashion-editorial magazine for fashion revolutionaries and idealist. We still have fun in this issue, but we dared to confront and expose the lack of proactive health defenses in our young demographics. 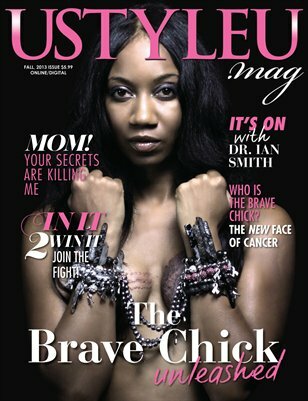 In this issue, we go beyond the pink ribbons to illustrate the “Real” look of breast cancer. This is the New USTYLEU Mag!